Conflicts in South Sudan and Burundi have resulted in thousands of people, including SDBs, to seek refuge in Uganda & Tanzania. Approximately 70,000 people have crossed the South Sudanese border into Uganda since fighting erupted in the capital, Juba, (http://www.aljazeera.com). Also more than 250,000 people have fled to Tanzania since Burundi descended into violence (http://www.thegaurdian.com). These refugees need our help. 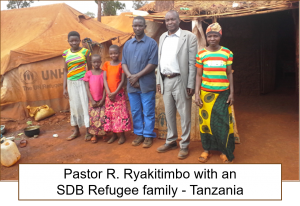 SDB Conferences in Uganda and Tanzania are doing their best and are seeking more assistance to provide food, blankets and share the gospel for salvation and hope. You can be part of a loving response to their needs. 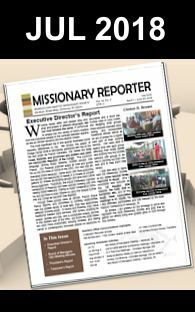 SDB ministry work around the world.